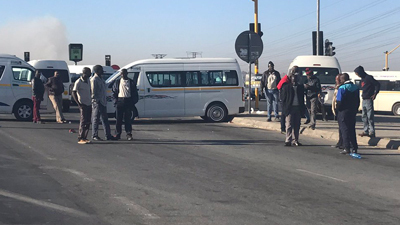 Soweto commuters have urged Gauteng Transport MEC, Ishmail Vadi, not to lift the suspension of major routes in the area for taxi associations WATA and NANDUWE until peace is achieved. Vadi met with commuters in Soweto, in the south of Johannesburg Tuesday night to discuss a way forward following the taxi violence earlier this month. The two taxi associations were involved in a deadly clash over routes that left three dead. Commuters say Vadi should insist on a peaceful end to the conflict between WATA and NANDUWE. “We are not animals and taxi owners must realise this. Please listen to us, we commuters need you. I think this three months will open their brains to think about their commuters, about what the value of a person is. The post Vadi urged not to lift Soweto taxi suspension appeared first on SABC News – Breaking news, special reports, world, business, sport coverage of all South African current events. Africa's news leader..